As we round out the last week of Planetary Pursuit, we focus our telescope on one more galactic-themed cache — Moon Tower (GC5BMM0). 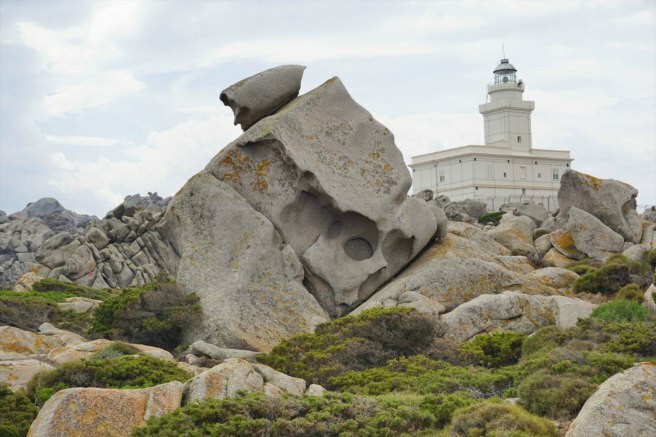 Located on the northernmost tip of Sardinia, Italy, this Traditional Cache is remote, captivating, and totally rocks! 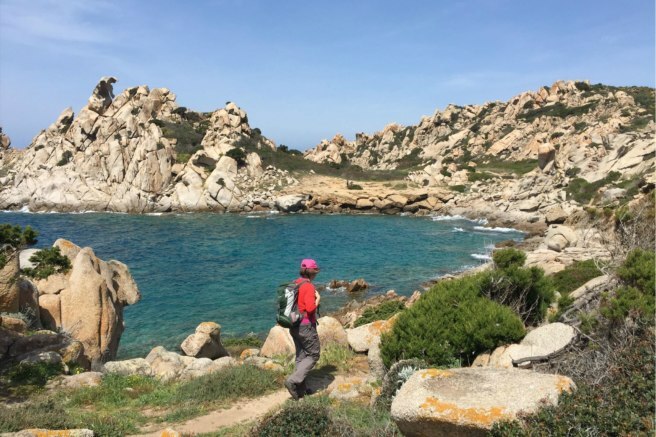 Sardinia has is all: contrasting mountains, forests, deserts, and beaches. 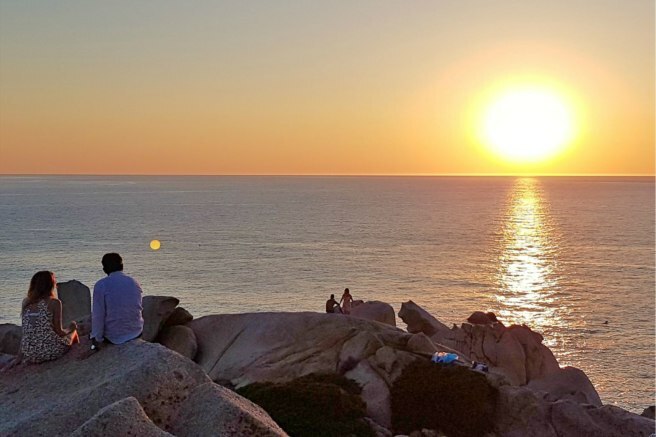 In terms of compelling landscapes, Sardinia has is all: contrasting mountains, forests, deserts, and beaches. Additionally, ancient ruins dating back to the Bronze Age dot the entire island for you to explore to your heart’s content. 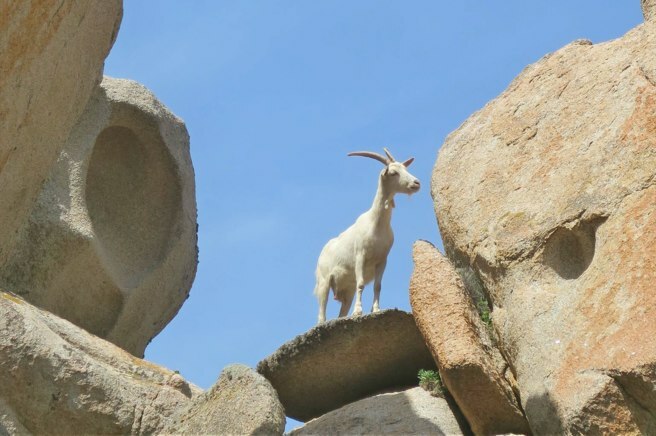 A local goat checks out the geocaching action. 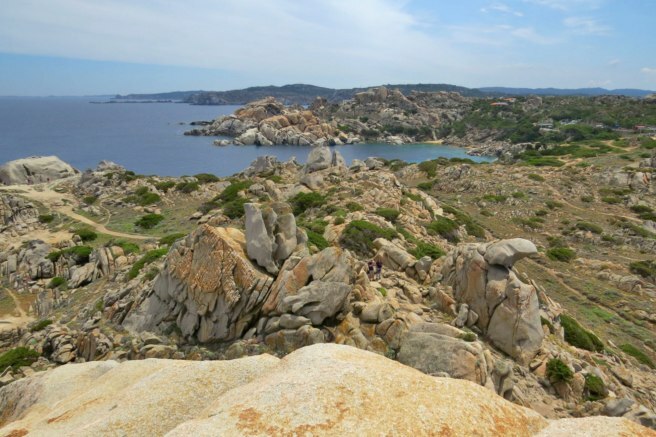 Moon Tower is named after the very unusual and lunar-like landscape of Capo Testa. Imposing weather worn cliffs, slanting hoodoos, and humongous boulders abound. 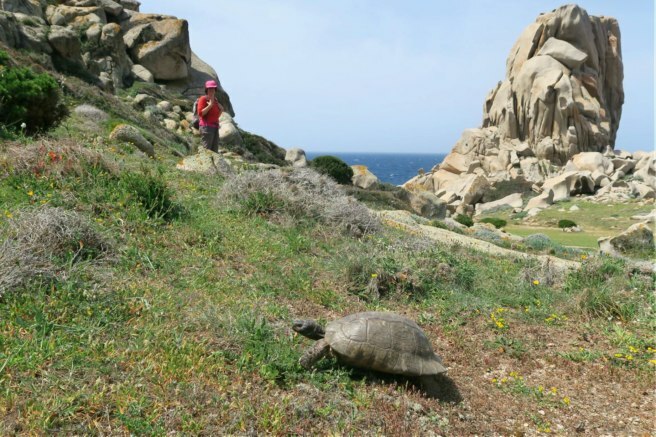 Many people encounter curious goats and tortoises along their journey. This is a moderately demanding T3 cache that involves hiking along a clearly marked path with occasional flights of stone steps. You may be short of breath by the end, but you will most likely survive. 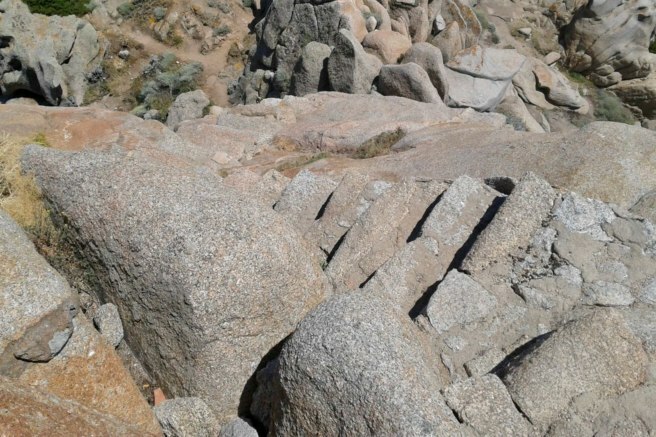 The cache is located atop one the gigantic boulders, providing a panoramic view of Moon Valley. Although this may sound challenging, there’s no need to pack your climbing gear. But once you “summit”? Wow! The panoramic views of the entire moon valley are outta this world. You’ll never want to come back to Earth! That is an amazing view! Wow, what a fascinating and interesting landscape! Somehow I had more problems finding the trail to the tower than finding the cache. Thanks for leading us up here and TFTC! Wow, what a fascinating and interesting landscape! What a place to be! 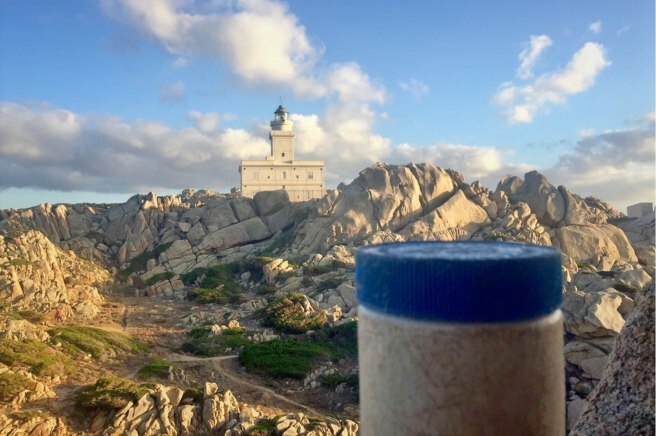 Geocaching brings us to the best places on earth. This is one of them, for sure! The cache description was exact, no problem to reach the final. The view down to “moon-land” was breathtaking. Thank you so much for placing this cache. The view down to “moon-land” was breathtaking. You gotta dream it to live it. 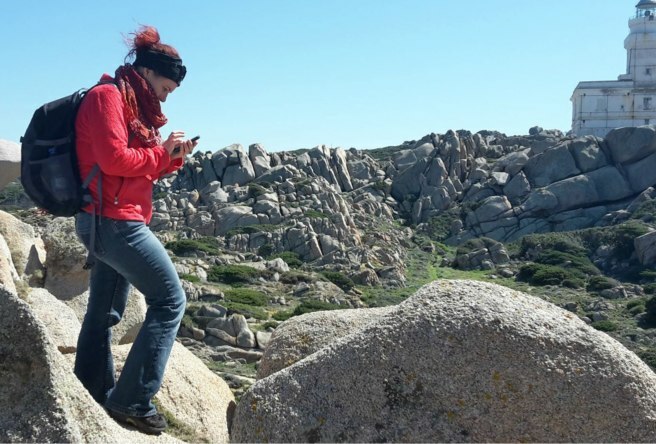 Which remote geocache is your ultimate find?